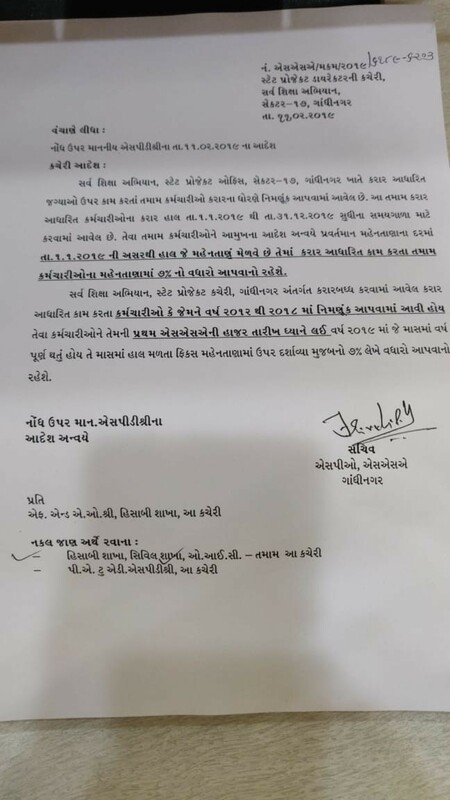 GOOD NEWS :- SSA NA KARAR ADHARIT KARMACHARIO NA MAHENATANA MA 7% NO VADHARO ~ :: GujaratGk :: Official Site :: Gujarat's No. 1 Educational Website..
Dear Visitors, Now you can get JOb information & COMPETITIVE EXAM PREPARATION MATERIALS through Ojasalert.in site Easily. Ojasalert.in Give Gujarat & India Level all type of new jobs information. Ojasalert.in is famous for competitive exam’s preparation. we provide complete exam materials for various exam Like Tet,Htat,Tat,policeexam,Clerk exam, GpscExam,panchayat clerk exam and other Gujarat Level Exams.